There are two options for measuring barometric pressure, one sensor is designed to be installed inside the weather station enclosure, while the other can be mounted outside. Both sensors measure in the range 660 mb to 1070 mb. 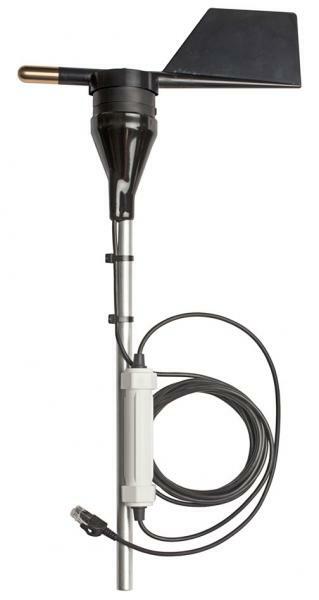 The Leaf Wetness Smart Sensor provides accurate leaf wetness data in a number of growing and research applications. The sensor is ready to use and does not require any painting or coating. It uses a capacitive grid that is less sensitive to surface residues than resistive grid-based sensors, and comes preconditioned for consistent measurements between sensors and for long-term stability. Along with a 3-meter cable, a mounting bracket is included so the sensor can be easily positioned to mimic the wet-dry characteristics of the plants being studied. This Rainfall Smart Sensor (Metric system) measures up to 10 cm of rain per hour with a resolution of 0.2 mm, and a maximum of 4000 tips per interval. This smart sensor has a response range of 0° to 50°C and sustains sensor survival from -40° to 75°C. The mechanism is tipping bucket mounted on a stainless steel shaft with brass bearings. This model includes a 2m cable. Measure soil water content with the affordably-priced Soil Moisture Smart Sensor; this sensor integrates the field-proven ECH2O Sensor and a 12-bit A/D, providing ±3% accuracy in typical soil conditions, and ±2% accuracy with soil-specific calibration. The sensor's two-tine design makes the sensor easy to install. Readings are provided directly in volumetric water content. 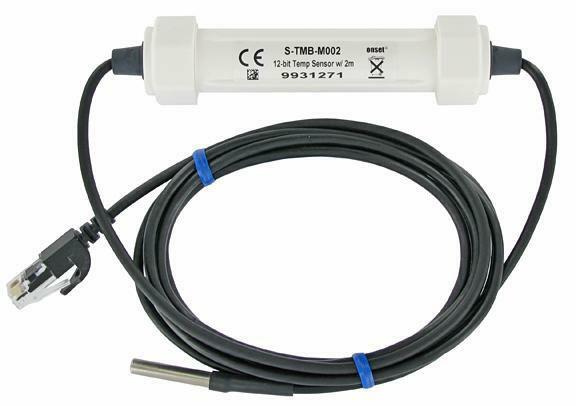 This sensor's high frequency design gives it a relatively low sensitivity to salinity and temperature effects and a wide measurement range. There are 2 solar radiation sensors, one the measures the full range of visible light, the other measures only those wavelengths that plants respond to. The Solar Radiation Smart Sensor is a light sensor (silicon pyanometer) with a measurement range of 0 to 1280 W/m2 over a spectral range of 300 to 1100 nm. This sensor reports the average light intensity over a user-set set logging interval from a minumum of 1 second. Although the azimuth error is only ±2% error at 45° from vertical, a light sensor bracket and light sensor level are recommended. The Photosynthetic Light (PAR) Smart Sensor is intended to measure light intensity for the frequencies relevant for photosynthesis. 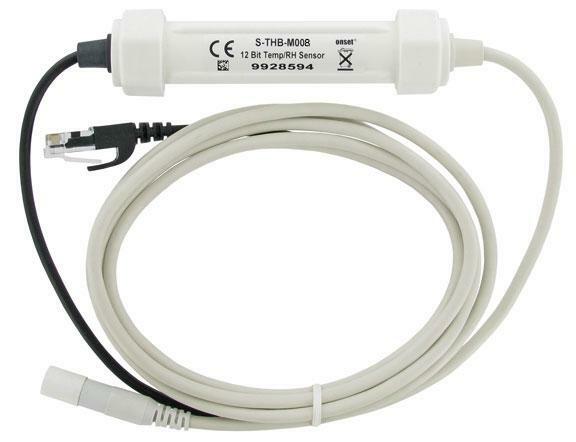 This sensor has a measurement range of 0 to 2500 umol/m2/sec over wavelengths from 400 to 700 nm. Enclosed in a anodized aluminum housing with acrylic diffuser and o-ring seal, this model has a 3m cable; a light sensor bracket and light sensor level are recommended. The S-WDA-M003 is a highly-durable wind vane with a drip overhang for anti-icing. Its shielded stainless-steel ball bearings and static-dissipating housing provide a long sensor life. The sensor calculates a unit vector average of the wind direction, providing data directly in degrees.Output is 0-355 degres with a 5 degree dead-band at North. The S-WSA-M003 Wind Speed Smart Sensor is a 3 cup anemometer with TEFLON bearings and hardened beryllium shaft designed to measure wind speed from 0 to 45 m/s (0 to 100 mph). 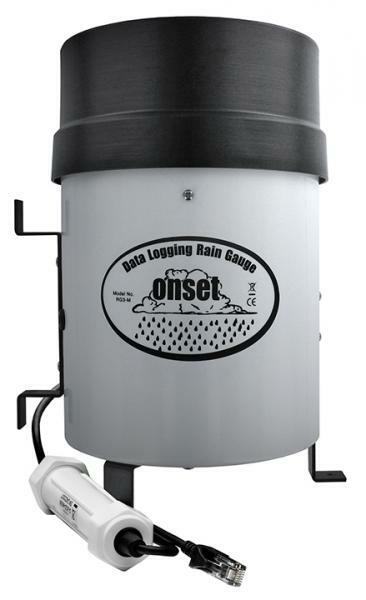 This smart sensor provides data reporting average wind speed and highest 2 second gust for each logging interval. The starting threshold for this instrument is only 1 m/s; instrument survives through 120 mph. This model comes with a 3m cable. The Ultrasonic Wind Speed and Direction Smart Sensor is compact and rugged with no moving parts. Because this sensor is ultrasonic it is able to measure very low wind speeds, down to 0.4 m/s (compared to 1.0 m/s for our mechanical sensors). Because it is automatically recognized by HOBO stations, there is no need for programming, resulting in fast and easy deployment. The sensor is powered by its own built-in solar panel.